Whether you’re spending your day playing LoL or hopping online after work for a quick game of Counter Strike, your keyboard is vital to your success. 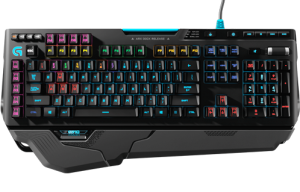 Gaming keyboards are much different than their traditional counterparts, as they come loaded with a number of features custom-made for the PC gamer. 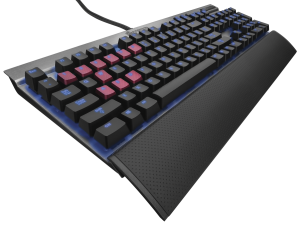 From backlighting to texturized keys, there are a lot of things gamers look for in their keyboards, so we’ve compiled a list of the ten keyboards that any gamer should consider when looking to upgrade. 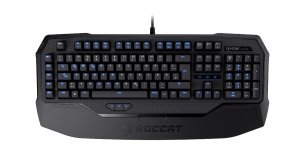 Mad Catz isn’t typically known for quality, but if you’re looking for a mechanical gaming keyboard at an affordable price, you can’t go wrong with the S.T.R.I.K.E. TE. 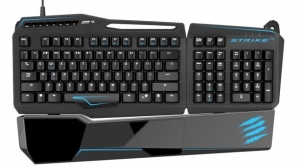 This is the first mechanical keyboard from Mad Catz and while it’s a huge improvement over past S.T.R.I.K.E. models, it does have a few minimal downsides. With one glance, you can see that this keyboard is made for one purpose- gaming. It’s comfortable, it’s responsive, and it’s highly customizable, making it one of the best keyboards in this style on the market today. The downside, of course, is that you can’t use it for anything other than gaming. 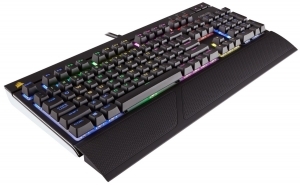 Another gaming keyboard on the lower end of the price spectrum, the K70 is a mechanical keyboard sporting all of the features a gamer should be looking for. Individual key lighting makes your WASD and hotkeys outshine all the other keys, and the swappable keycaps allow you to mix and match keys to your hearts desire. Plus, it’s a great price and it’s easy to use. This is the keyboard for the gamer on the go. It’s both lightweight and durable, ultimately very responsive, and comes with a whole suite of lighting options that truly set it apart from the pack. It’s a plug and play keyboard, so if you’re using someone else’s machine at a LAN party or anywhere else, you can have your own keyboard set up and ready to go in seconds. 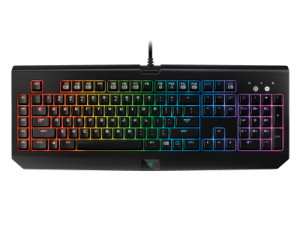 Like the Razer OrbWeaver, this keyboard is really only logical to use while gaming, as the asymmetrical key design isn’t really suited for typing or making spreadsheets. Still, what it does well it does really well. There are a plethora of customization options and the whole setup is really intuitive, so you can’t go wrong if you’re willing to drop $135.99 on just a gaming peripheral. The Chroma is truly a sight to behold, and it does function just as well as form. One unique feature is that unlike almost every other mechanical keyboard, the Chroma uses its own keys instead of opting for Cherry’s industry standard ones. This fact might turn some off, so just be prepared for the adjustment if you’re making the switch. Still, the keyboard feels great and has plenty of customization options. If you prefer substance over style, you’ll like the MK Pro. It comes with 500 programmable macros that you can record and use on the fly, and the innovative easy shift feature allows you to reprogram the entire keyboard with ease. It’s powerful, comes with a ton of features, and is well worth the cost. Arguably one of the best keyboards on the market today, this bad boy comes with very few downsides. It has everything you’re looking for, from customization to fantastic responsiveness and feel, and it’ll look great when it’s sitting in your battle station. Best of all, it’s dead quiet (hence the name), which isn’t all that common when it comes to mechanical keyboards. If durable is what you’re after, you’ll love the X 3, which is built like a tank… and looks somewhat like one as well, so don’t buy if you’re looking for pretty backlit keys. With that being said, this thing will last you a lifetime and the rubber grips on the bottom add to the weight and sturdiness of it, making it perfect for use around kids and rage-quitters alike. 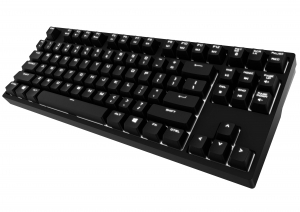 Rounding out the list with the best budget keyboard on the market, we have the G105. For under $30, you get a great little keyboard with a few customization options and highlighted WASD keys (in addition to a nice backlight). 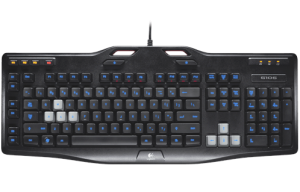 This is the keyboard for the weekend warrior who isn’t looking to spend more on a keyboard then they did for the game they’re playing it with. 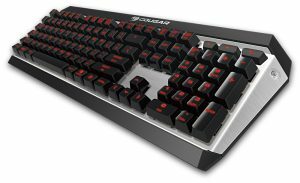 Hopefully this guide has helped you to identify the perfect keyboard for your gaming experience. However, if you’re a PS4 gamer then you might be surprised to read the PS4 Keyboard guide, which can change the way you play certain games. 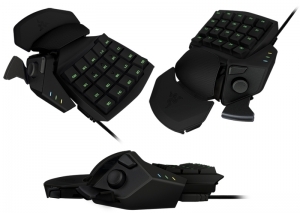 Another interesting read which you should not miss is the Gaming Mouse guide – perfect in combination when buying a gaming keyboard.